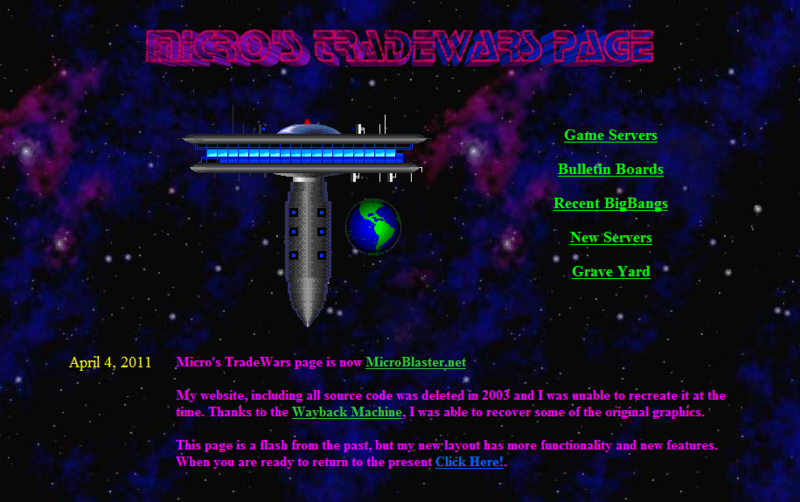 TradeWars 2002, also known as Trade Wars 2002 or TW2002, is a space trading game developed starting in 1984 and continuing through the 1990s by Gary Martin for play as a BBS door game, with later versions developed by John Pritchett both for BBS and, starting in 1998, a devoted game server called TWGS (Trade Wars Game Server). You should understand that TradeWars 2002 is a long term and time consuming endeavor if you wish to be at all a worthwhile player. Players are placed in a galaxy as a 'Trader' and their objective is to become as successful as possible. Players begin by trading commodities, which in this game are: Fuel Ore, Organics and Equipment. Fuel Ore is the cheapest, and Equipment is the most expensive. Organics is always somewhere in between. Players look for ports in which you can buy one commodity and sell it at a port in an adjacent sector. These ports are also willing to haggle over the price, and you can earn experience for haggling well. Players are allocated a certain number of turns each day, and must use these turns wisely if they want to win. Turns are expended when players move from one sector to another, land at a port to trade, and various other activities. The galaxy consists of 100–20,000 interconnected sectors. These sectors can contain planets, ports, ships, mines, fighters, and beacons. The warps between sectors are randomly generated by a BigBang at the beginning of the game. This random nature makes it very difficult to draw a map of the galaxy. Players can be aligned on the side of either good or evil. 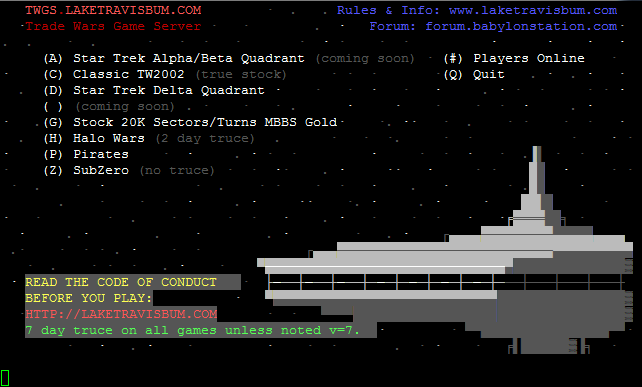 A player's alignment is represented as an integer; a positive (good) alignment is earned by doing good deeds, such as posting bounties on space pirates and destroying evildoers. A negative (evil) alignment is the result of evil deeds such as destroying planets and dumping colonists into space. Although mixed corporations are penalized in the game, mixed teams are often used to maximize profit.